This comfortable holiday house with pool is located in the beautiful town of Bilo, which is known for its crystal clear sea water and stunning views. This comfortable holiday house with pool is located in the beautiful town of Bilo, which is known for its crystal clear sea water and stunning views. 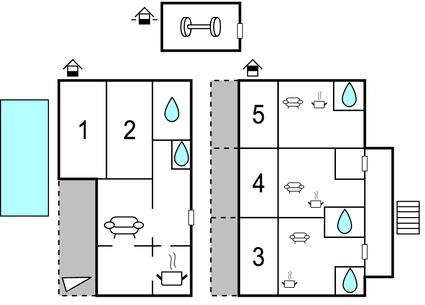 In the house there are three small and one large apartment with shared living space. The floors are connected by external stairs. In this holiday house families and friends can spend a pleasant holiday together. In the nearby town Primošten, which is a famous holiday destination, is known for its peninsula, Mediterranean architecture, local taverns and restaurants, as well as numerous events which are taking place during the summer months. The beaches are among the most beautiful in the Adriatic, whether you prefer the wild, the hidden rocks or beautiful sandy beaches which are suitable for children. This beautiful modern villa is made from brick or stone and was originally built in 2003 and refurbished in 2015. The agent has rated it as a four star property so it is a well-equipped villa with above average furnishings. It is also great value for money. 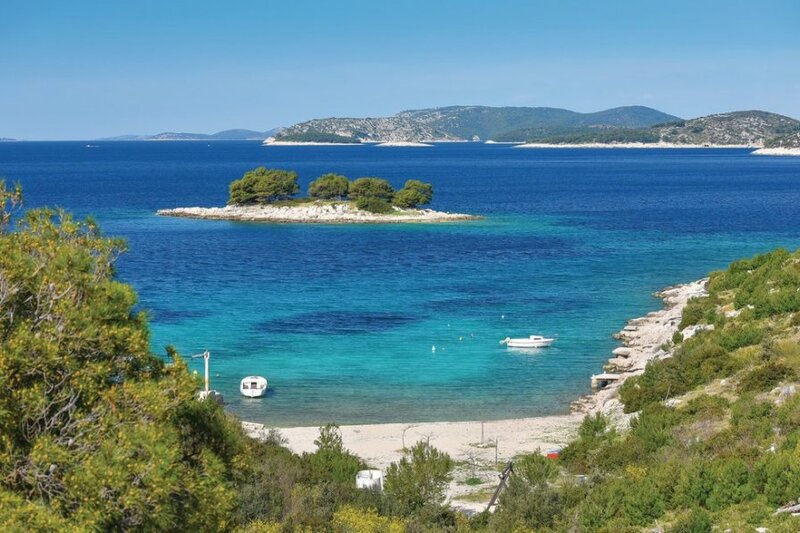 This villa has a swimming pool and sea view; it is also located in Primošten Burnji, 20km from Sibenik. It is set in a very convenient location, just 100 metres away from a stone and pebble beach. There's also a restaurant only 15 metres away.